Practiced under experienced Iyengar Teachers namely Karin O’Bannon and Birju Metha. She has completed a Teacher Training Course in Mysore, India, under Master Bharath Shetty. Have been teaching for more than a decade doing different styles of yoga including Hatha Yoga (mainly Iyengar style), Integrated Astanga and Hatha from Mysore, and Yin Yoga. While in Mysore, she also studied basic Yoga Therapy series. She believes that Hatha-Yoga is a comprehensive system of holistic health care that helps to create a strong, more flexible and healthy body and mind. The focus of her teaching is on alignment, health and finding inner and outer balance. Believes that Hatha-Yoga must be taught with a sound knowledge of how the body works. Her training with IYTA, IYAA and hundreds of hours of teacher training with Desiree Rumbaugh, Amy Ippolity and other former Anusara teachers and 23 years of teaching Yoga have given her the knowledge to guide students appropriately and wisely. 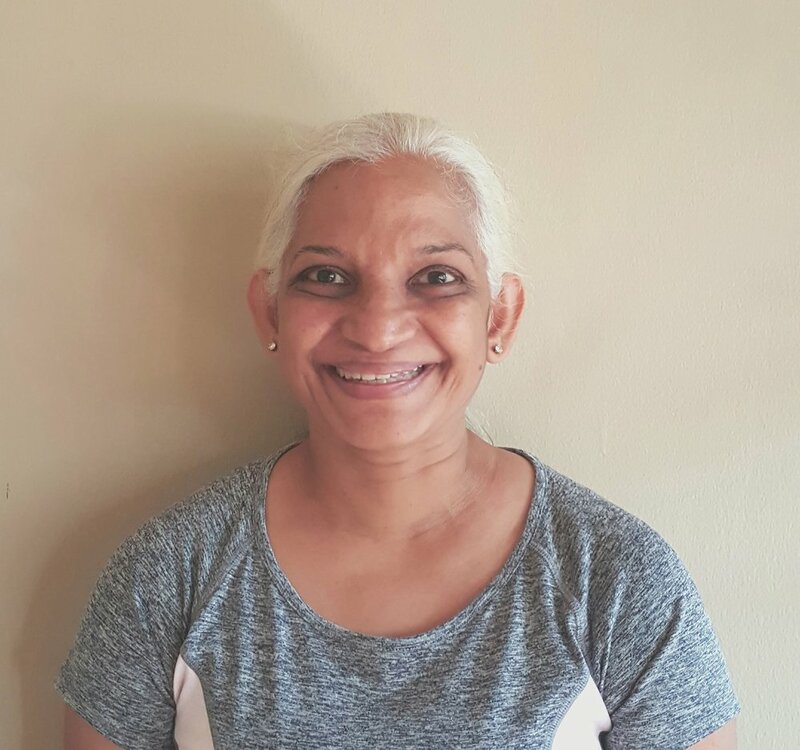 An experienced yoga practitioner and teacher, has completed her 200-hour teacher training in the Manasa Yoga School Kuala Lumpur under Master Manoj Kaimal (Manasa Yoga is a Yoga Alliance Registered School, RYS). Since her teacher training , Kai has been committed to daily yoga practice and a yogic lifestyle. This year she is planning to continue her training by pursuing the advanced 300-hour RYS training with Manasa Yoga. After years of practising different yoga styles, she decided to deepen her practice in Sivananda Yoga which was introduced to her in 1987 while in Kathmandu. In 2013, she took up Sivananda Teacher Training in India at the Himalaya. She then pursued further by attending workshops in Sivananda Ashrams in various part of Europe. In February 2016, she completed Advanced Teacher Training in Kerala, India. Having attended workshops and tutelage under of experienced teachers, she aspires to share her passion for yoga with great pleasure. Started her yoga journey in 2014 for sole purpose of achieving better health. Completed 200hours Teacher Training Course under Anusara Yoga in 2016. During her first pregnancy, mindful yoga practice has helped with medicine-free gentle birthing. Believe that centering of the breath and achieving proper alignment in each pose allow us to better understand the body. The calmness of the breath allows you to be grounded throughout and after the practice. Teaches Hatha and Vinyasa flow focusing on grounding awareness stretching the students mind through asanas practices and coordinate with breath to stay present. Her background as a banker for 30 years has made her appreciative of the calmness of yoga practice. Pursued to take up Teachers Training Course to deepen understanding of yoga as a way of life. Few years into practice herself, she is able to relate well to the needs and limitations of absolute beginners whom walk in the studio.